UK Steel Enterprise (UKSE) has announced that it will extend the unique Kickstart Fund initiative for another 12 months – providing financial support and business advice to dozens of start-up businesses in North Lincolnshire. A subsidiary of Tata Steel, UK Steel Enterprise is dedicated to helping the economic development of areas of the UK most affected by changes in the steel industry. The company is behind the unique Kickstart Fund initiative which was launched in partnership with North Lincolnshire Council and the Growth Hub in a bid to support individuals looking to establish a business or become self-employed by helping with initial costs. In the last 12 months more than 30 businesses in North Lincolnshire benefited from the funding from UKSE. Mowbray’s of Haxey (pictured), a village café that prides itself on its locally-sourced, ethically-produced goods, is just on of the businesses to have benefitted. 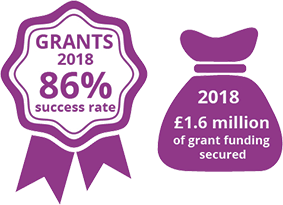 Grants of up to £750 will be made available to budding entrepreneurs, alongside guidance and advice from local Growth Hub advisors and the Economic Development team at North Lincolnshire Council.